2012 Thunderhill 25 hours - Team 949 Racing - TrackHQ.com, the Web's leading forum for track day enthusiasts, racers and time attack drivers. Once again we have assembled a great team for the Thunderhill 25 hours. We return as the defending E2 champions. This year we will field four cars. The Team 949 Racing facebook page will be information central. The team will try to make twitter updates during the race that will post to our FB page. Very cool... looking forward to watching y'all spraying the champagne! I think if we make it to the podium, a beer shower would be in order. How good is LTE coverage up there? I wonder if there would be a way to stream live incar footage throughout the race. I was running at Chump Car last weekend with you guys (we had the camo'ed Mazda Mx3). I tried to say hi to you guys, but your teams didn't seem 'available'. By the way, if you need a driver for Thunderhill... look up Thomas Smith. Incredibly talented driver, great feedback, and will be an awesome addition to your team. We have 2 seats available. Thomas Smith is a pretty common name please have him contact us directly to our website. Sorry if we didn't have time to say hi this weekend, we were pretty busy training pretty much all day both days. The problem is not the broadband coverage but getting the signal from the car to where ever it needs to go. It is too far away for wifi. If someone here knows how to do it, I am all ears. if there is good 4G LTE coverage, then you leverage the cellular network and not a local area network that would have issues with line of site problems at Thill. You would need a cellular account with unlimited broadband as using the cellular network to transmit would be a data hog for 25 hours. I suspect that some time during that period, the connection would drop and you wouldn't want to stop in the pit long enough to reboot it. It can be done via VPN. Connect both devices (laptop + camera/cellphone) to the VPN and they will be local to each other, but using a WAN (3G/LTE) to transmit data. Let me know if you need help with setting something like that up, I have some experience with live web-based video production in a prior life. Or just use uStream or similar streaming app direct from a cellphone mounted in the car. Less ideal as you have no control of the video, but certainly the simplest setup possible. Last edited by hakeem; 11-06-2012, 11:09 AM. 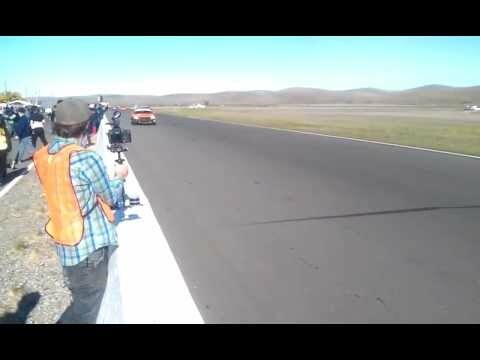 problem with Thunderhill is horrible cell coverage. forget 3G, 50% of the time, you can't even make a call. I have tried with AT&T, T-Mobile and Verizon. unless a new cell tower went up in the last 6 months. forget the cell coverage. anyone know how to do video from car to pit without cell coverage ? Last edited by bellwilliam; 11-06-2012, 11:34 AM. I was able to get a steady 3g signal but only at one particular spot, not near our pit. So we would need our mifi sitting there with maybe a wifi router and signal booster. "video from car to pit without cell coverage ?" Yes, cell coverage at TH is quite poor.